Hub8 is among the cheapest and reliable Webhosting providers in the world offering special packages to Nigerian bloggers that allows them to take their business online even when they are not prepared by offering them 100% free web hosting to get started completely free of charge, affordable shared hosting plan for those who required more power and features and finally WordPress Hosting plan with 55 Premium Themes. I previously wrote some interesting post about Hub8 hosting that you might be interested to read before we proceed. Outside the free web hosting and shared hosting plans that hub8 offers, they also have special hosting packages for those who want to use WordPress as their blogging platform. No doubt Wordpress is the best and most widely used blogging platform that both newbie and professional bloggers use and I think you should as well use it for best blogging experience. or ₦4,900 per year (20% discount) which am sure you can afford. 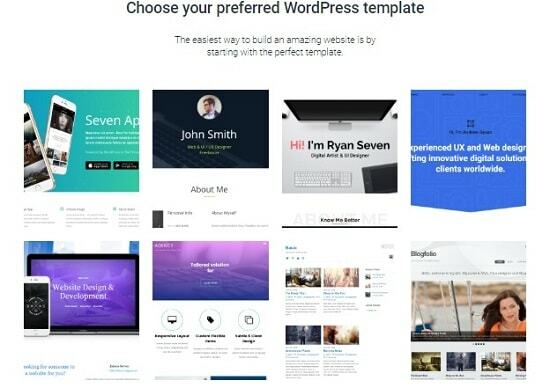 As a beginner, you don't know anything about website designing or how to get started then you have nothing to worry about Hub8 still takes care of that problem by offering you up to 55 paid WordPress template that you can install or ask them to install for you if you don't know how to install Wordpress theme. With the new Hub8 WordPress Hosting plan you have anything and everything you need to go online in no time, no coding skills required to get started because It’s easy to post new content, add or change a menu content, modify your site’s look and layout on any of the 55 premium WordPress themes offered by Hub8 hosting. Hub8 hosting offers three Wordpress hosting plans namely Basic, Starter and Pro plan, below are their features and prices. You can see their Wordpress hosting plans and features here and if you still have any question to ask, feel free to do so using the quick reply option below.